Celebrate any occasion with our vibrant floral bouquet of mini carnations, lilies and daisy poms. 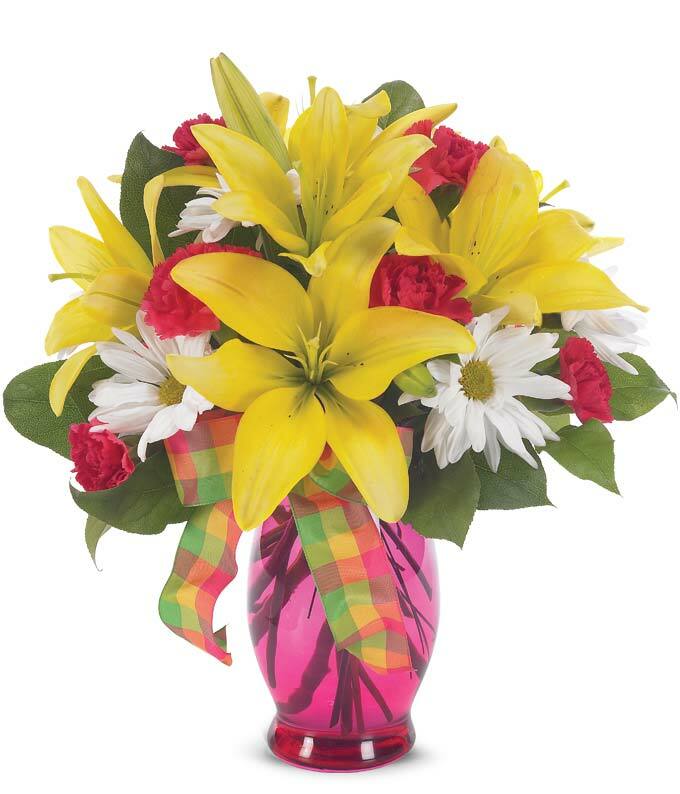 Beautifully hand-designed by our select florist in an attractive clear glass fluted vase and accented with a bright fruit punch ribbon. Measures 14"H by 10"L.